The objective of the EARoH team is to study the early life determinants of the child development and later health focusing on 1) early factors implicated in the development of obesity and cardiometabolic abnormalities and 2) early nutrition in relation to other aspects of the child’s development and health. Our ultimate aim is to show that ensuring the conditions of a nurturing and healthy early start in life for all has great potential to reach one major goal of the National Strategy for Health: prioritizing prevention rather than care of chronic diseases. Our team is the first French group of epidemiologists with a research program entirely devoted to DOHAD. It has played a pioneering role in the development of this research field in France. Elfe is the first French national birth cohort. More than 18 000 children born are followed with their families since 2011. An Investment for the Future! We are looking at many varied aspects of their lives, from the perspectives of health, social sciences and the environment. By monitoring the children at regular intervals, we will be better able to understand how their health, development and socialization are affected by their environment, family circle, schooling and living conditions. Eden is a regional cohort in which women were enrolled early in pregnancy. Children have been followed for 12 years. Its objective is to better establish the importance of early determinants on the health of individuals, particularly with regard to the environmental factors that influence them in childhood and later in adulthood. 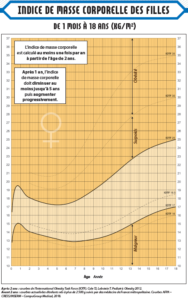 Inserm researchers from the EPOPé and EARoH teams have developed new growth charts for weight, height, body mass index and head circumference, for girls and boys. The ECAIL (PrEgnanCy and eArly childhood nutrItion trial) study is a two-arm randomized controlled trial that aims at evaluating the effectiveness of a nutritional intervention to promote healthy diet and growth in young children from socially disadvantaged families. General population cohort of 200,000 adults 18-69 years of age at inclusion. Recruitment initiated in 2012 still underway (145,000 participants in May 2017).